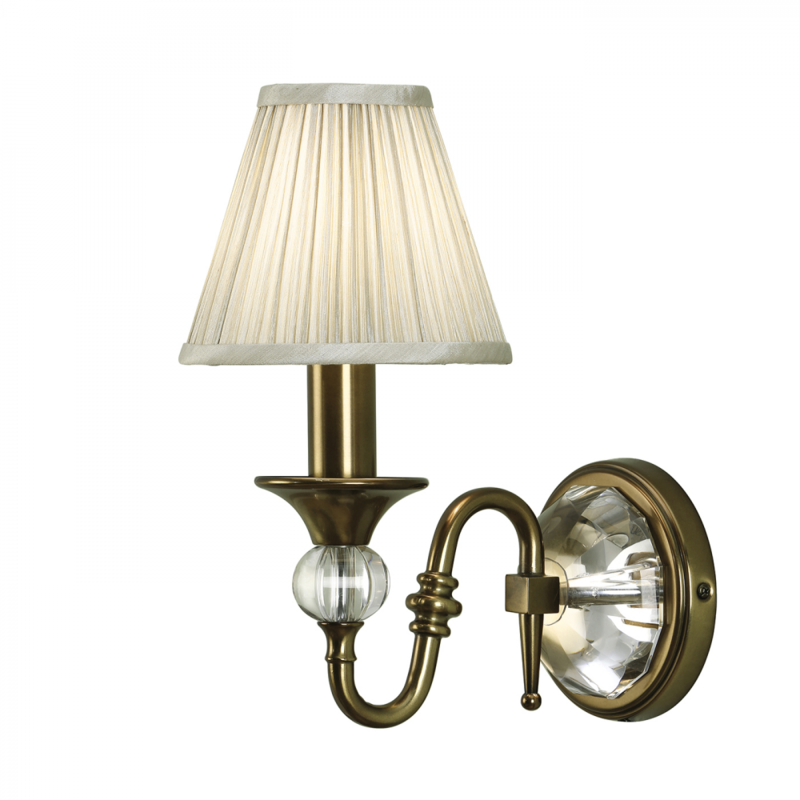 The Happy Homewares wall light is an elegant addition to any room. Finished in an antique brass plate with crystal glass detailing and a beige organza effect shade to give it an opulent feel. 24cm projection x 29.5cm height x 15cm width. Material: Steel & fabric & crystal glass. Voltage: 220-240V.